Once upon a time there was an awkward wall that lived in a dining room. This wall was the focal point of the dining room. Unfortunately, the wall was broken up by a misplaced sconce that didn’t get along with framed art, and was always arguing with the window that hovered above it. So my client and I brainstormed. We gathered inspiration from items in her house that she loved. We noticed a floral design in her calendar, rug, and even pillows. 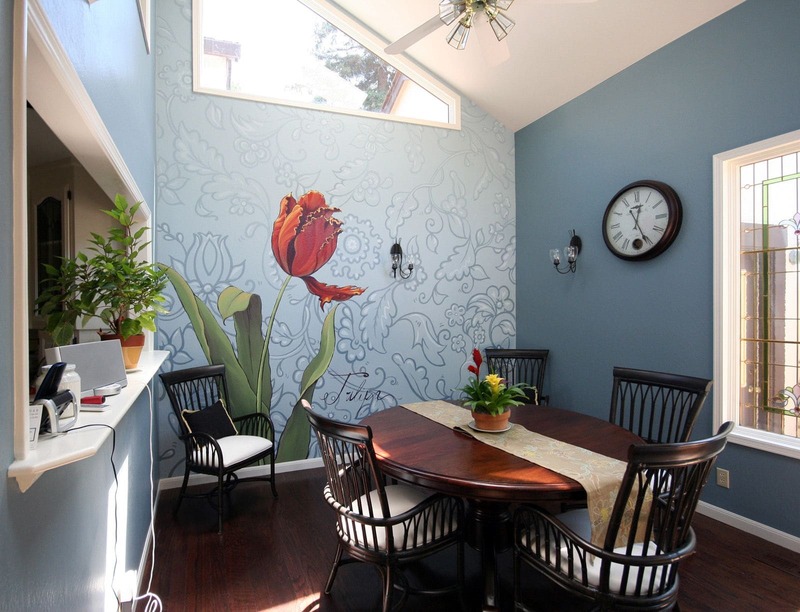 The result: a lively and dramatic mural in the form of a tulip and its leaves, with a monochromatic floral pattern backdrop. It transformed what was once an awkward wall to a strong and balanced wall that highlights their unique style. All the other elements in the room now live together, happily, ever after. 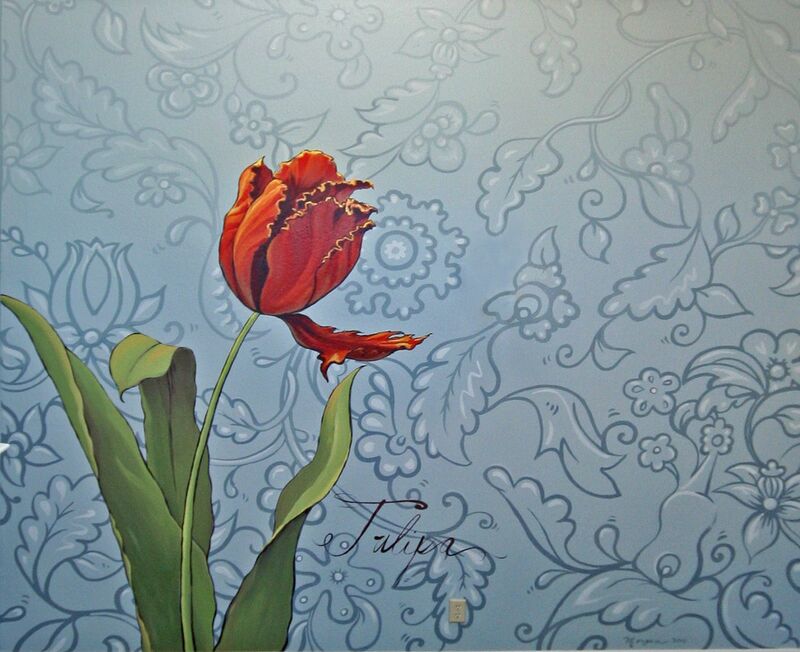 For more information about this mural project, read my blog post Dinner with a Nine Foot Tulip!.